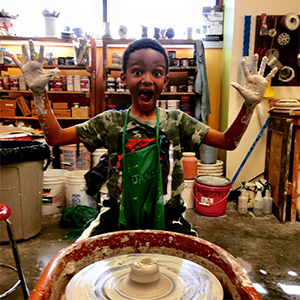 Why support the Quincy Art Center? 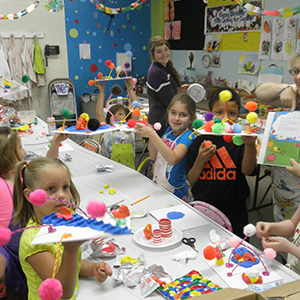 The Art Center has focused its energies promoting the growth and appreciation of the visual arts in Quincy and the surrounding areas by hosting art exhibits, tours, classes, and smArt Kids Art Mentor program! 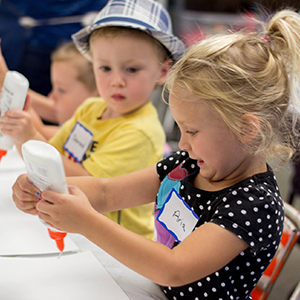 It is people like you who enable the Art Center to provide these art experiences for our community. We greatly appreciate any amount of donation because every little bit helps! To make a donation, click the button below, call 217-223-5900, or send your gift to the Quincy Art Center at 1515 Jersey St., Quincy, IL 62301. Thank you for your support! If you are interested in donating items to the Art Center we ask that you call ahead for approval of the item(s) and to schedule a drop-off time. The Art Center can only accept donations that will be used by The Art Center. Donated goods may be used for future auction or sale in use of fundraisers for The Art Center. Artwork donations to be used for future auction or sale must be approved by Executive Director. Artwork donations being considered for the Permanent Collection must follow set procedures for accession. The Art Center asks that ALL donors fill out an In-Kind Donation Form upon the delivery of items in compliance with federal tax laws effecting charitable institutions. Giving Assistant is a fast, free, easy way to donate to Quincy Art Center on a consistent basis while shopping online! That’s because Giving Assistant provides shoppers with more cash back earnings, as well as an easy way to donate a percentage of those earnings to organizations like The Art Center. Just shop, earn, and choose how much to donate. Giving Assistant facilitates everything. Start using Giving Assistant to donate to us today!